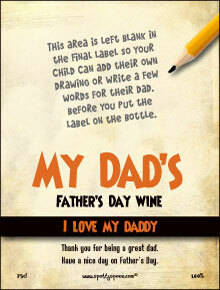 Fathers Day wine bottle label to create a fun gift for a dad, daddy, father or pop. Ideal for an instant gift idea. The choice of top Dads. 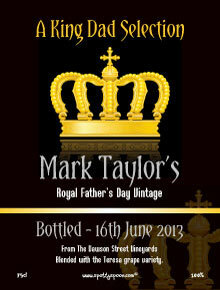 Produced in Falkirk in 1975 and bottled in Dundee. Best enjoyed with your feet up watching Top Gear. 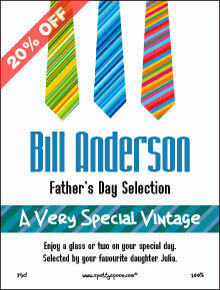 This elegant, stylish design would make a fine gift for a father with sophistication, intelligence and cultivation. 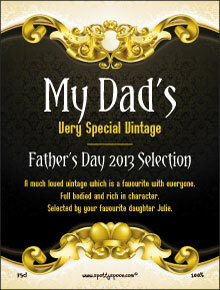 The design resembles a book cover and would ideally suit a father who is a big reader. He might be a teacher or a professor or simply a book lover, especially of the classics. Note. Phrases that play on intelligence and sophistication are ‘a fine wine for a sophisticated palate’, ‘a cool, crisp sparkling character’ and ‘high IQ content’.